The football season is either winding down or gearing up as the leaves are now falling and the sun goes down before dinner time. Local coffee shops are rolling out their autumnal spiced caffeinated creations, and holiday sale announcements are already a mainstay on the airwaves. Ahhhh, it must be that time of the semester when solo juries are looming on the horizon. This single event takes weeks if not months of planning. You not only have to practice and prepare the piece(s), but you have to coordinate rehearsals, times, and locations with your pianist so that you have a smooth-running performance at your jury. Time is of the essence here, so act now! What are you going to play this semester? You should choose a piece that will both challenge your weaknesses and display your strengths. Many times, if a student is having a tough time with lyrical, smooth playing, I will help them choose a piece that focuses on that type of playing. If a student is shy about loud, articulate playing, I will suggest a piece that covers those issues and so forth. You should never play the same jury piece twice. Use each semester’s jury performance as a way to study your instrument’s repertoire. Make sure you study the standard pieces for your instrument. Have you purchased your solo and piano part? You should always purchase the music you are going to perform. It is an infringement of copyright laws to play from copies that are not from an original you own. Additionally, how will you ever build your music library if you never purchase music? If we don’t support our publishers, composers, and arrangers, what will be their incentive to continue to create and produce great music for us to play? If you ordered your solo online, is it going to arrive in time for your first rehearsal? So, you ordered the music, but it’s backordered for the next 2 months. 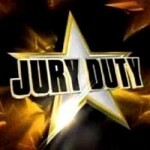 How will this help you when your jury is in 2 weeks? You will need to make preparations to cancel that order and get it faster from someplace else OR change pieces to one that is available quickly. Do you know the date and time of your performance? Obviously, you need to know this vital information so that you don’t miss your jury or double book yourself, but you also need this information when you are looking for your accompanist. Speaking of which, Have you hired your pianist and checked their availability for your jury date and scheduled rehearsals? Good pianists are busy and usually booked months before your jury date. If you desire a good pianist, HIRE THEM AS SOON AS POSSIBLE! If you wait too long, you may not get so lucky. Most likely, you are going to want one or two rehearsals with your accompanist before the actual jury. It is always a good idea to have one of those rehearsals with your private teacher there to help facilitate any musical or logistical issues that arise. Can you get the music to your pianist ahead of time so they can prepare? Maybe your pianist lives an hour away from your school and won’t be able to meet you in the near future to get the music. You can either mail it to them or scan it and attach to an email. Did you get their email address and contact info? Once you’ve set up times to rehearse, you must consider Do I have a location in which to rehearse? Sometimes, when you’re a student, you don’t always have reliable access to a room with a piano. You may want to defer to the accompanist on this one. He or she may have access to a great rehearsal space. Your professor may also be able to help you out in reserving a place at your school to rehearse. Do you have the money to pay your pianist? You should be prepared to pay your pianist the day of the performance, preferably beforehand, so that you don’t forget to do so afterward. It is extremely important that you budget for this expense. In order to do that, you must ask the pianist what they will charge you for rehearsals and the performance. Never hire someone for a job that you are not able to pay for. Start saving for this event at the beginning of the semester if need be. Do you need a mute? If so, what kind will you need? If you’re running out of time, maybe you can borrow one. However, every music major at the college level should invest in a decent straight mute. You might as well use this opportunity to purchase one. Did you put your name and contact information on the music originals? This suggestion seems silly, but you’d be surprised how many pieces get lost simply because the pianist doesn’t know who played what or how to get a hold of them after the performance. After a day or two of playing for multiple students, the details of ownership can sometimes get blurred. If your name, phone number, and email address are on your music, it should be pretty clear who the music belongs to. That being said, remember to get your original back from your accompanist after the performance. 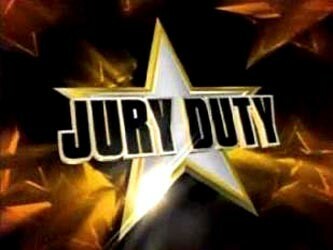 Lastly, please dress nicely for your jury. Before the jury panel hears you play a note, they will see you. Dressing nicely will start the jury off right, and it shows that you care as much about your visual presentation as you do your audio performance. If you address the aforementioned items, you can rest assured that you have done your part toward having a relaxed, enjoyable jury. 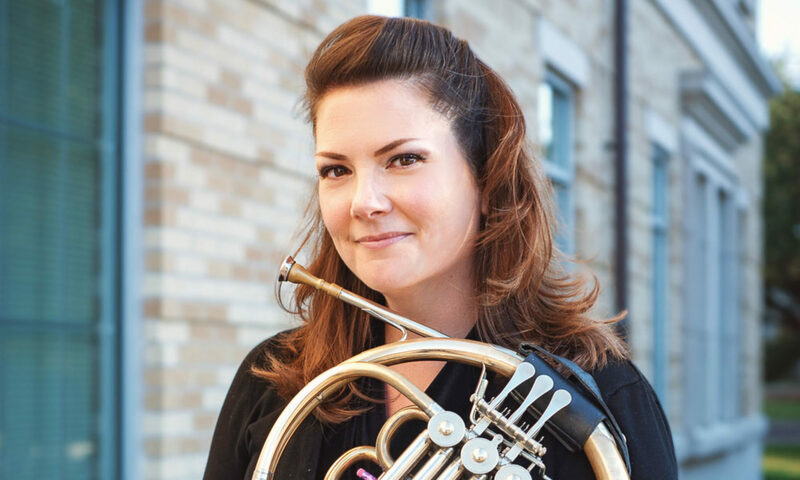 Take a deep breath, and have fun sharing your performance with your teachers and peers. Next PostNext TCU Horn Ensemble @ TMEA!